A newly released video shows a 17-year-old escape custody by jumping out of a second-story window at the Rock County Sheriff's Office. 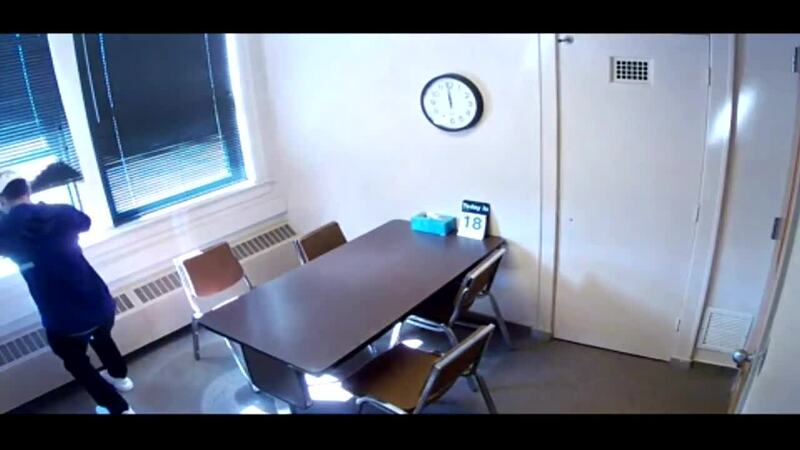 In the video, taken in October, we see the inmate left alone in a room before he makes his way to a window, opens it, jumps 12 to 16 feet to the ground and then runs off. Just as the teen escapes, the officer comes back into the room only to discover the teen no longer there. The teen was apprehended about four hours later. After the incident, the sheriff's office installed metal grates to the windows to prevent similar incidents from happening.